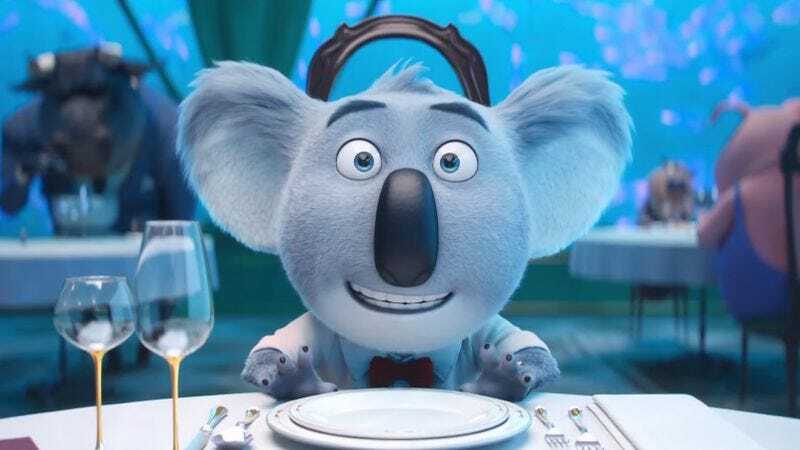 Illumination’s star-studded late-2016 hit Sing did exactly what it was supposed to do: treat parents and kids to a bunch of celebrity-filled pop covers and cute-ish cartoon animals during the bleakest month of the year. And to the movie’s credit, it did so to great effect, pulling in more than $400 million at the box office despite operating with a mere $75 million budget. As such, it was inevitable that the Matthew McConaughey-starring comedy would be coming back for another round. According to The Hollywood Reporter, Universal has given a green light to Sing 2, which will be driving parents nuts with the latest renditions of whatever constitutes pop music on Christmas Day, 2020. Universal also reported that it was moving two more of Illumination’s unavoidable sequels around; The Secret Life Of Pets 2 has been shunted back a year to July 3, 2019, while Minions 2 arrives a week earlier than expected, on July 3, 2020. Adjust your medication schedules (or overall desire to have children) accordingly.